« A Little Bit of Country in Queens! Today was a spectacularly beautiful fall day. It was sunny and bright, the air had a crisp, fresh feeling. The buildings sparkled and the leaves dazzled. It was an absolutely perfect day for a run. 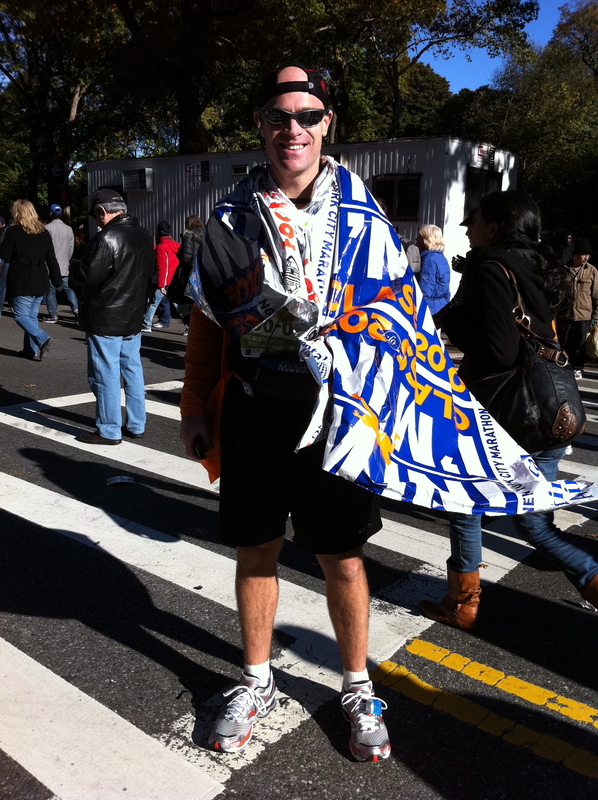 Instead of running myself, I headed out of the apartment excited to witness my first ever NYC Marathon. I headed towards the park and there instantly seemed to be a frenetic energy in the air. 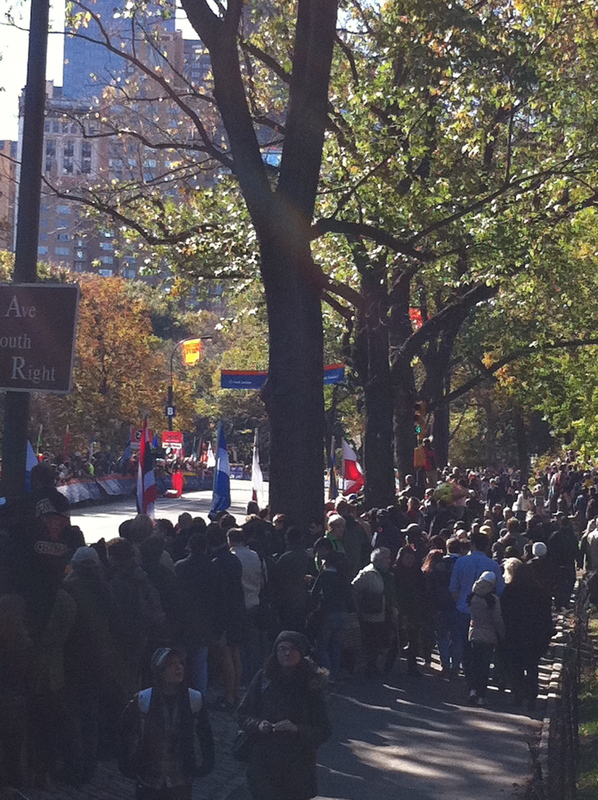 Like me, many people were making their way towards Central Park. Some were carrying posters, waving flags, wearing supportive clothing (I’m Cheering for Mommy!) or already making noise on cowbells and other instruments. We were all enthusiastically heading out to cheer on the runners. I wasn’t exactly sure where I was going to watch the run from. I noticed that many of the surrounding streets were already closed off and numerous entrances to the park were also blocked off. The police presence was very heavy but they were extremely helpful to the crowds of people, happily offering directions and suggestions. 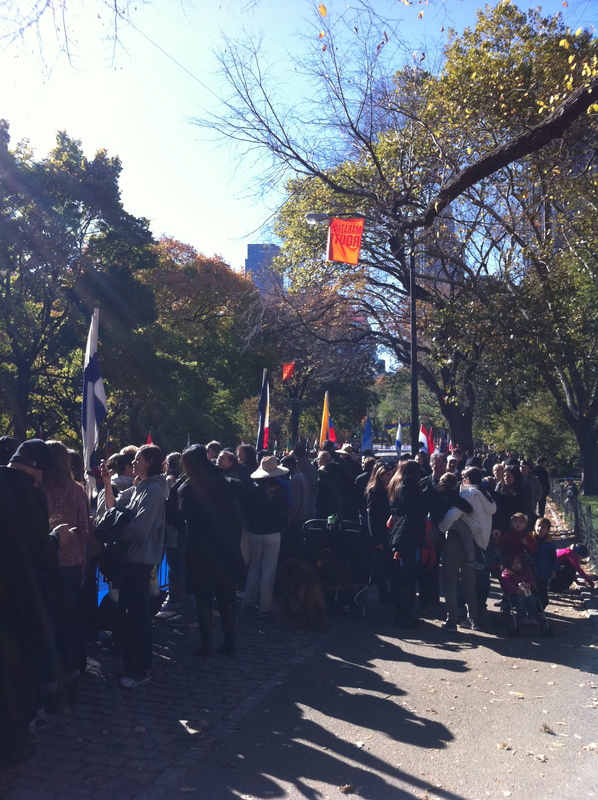 I followed Central Park South to the 65th street entrance and made my way to the race course. I lucked out and was able to find a great viewing spot on mile 26. I would be able to see the runners as they entered the last 400 metres of the race. I settled in and watched the tail end of the wheel chair competitors. The crowd began to thicken and the anticipation increased as the lead female and male runners got closer to the final mile. 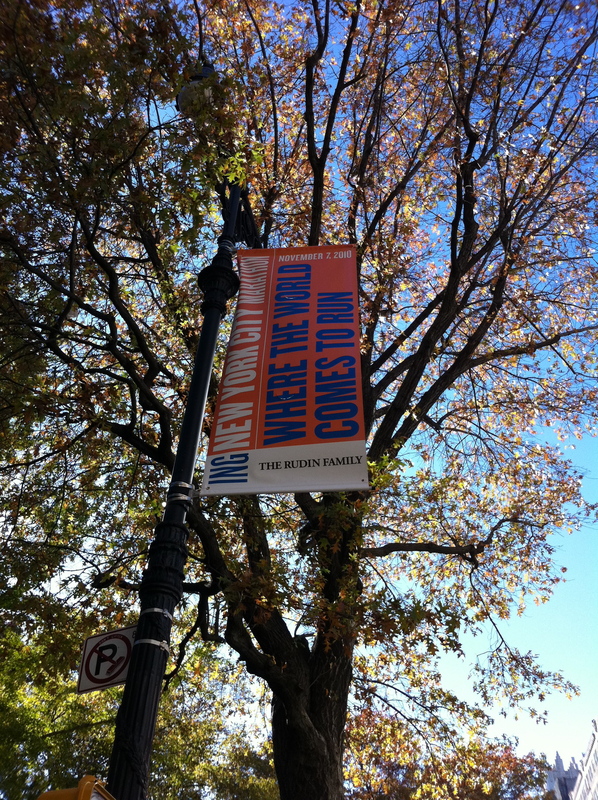 There are over two million spectators that gather in all five boroughs to cheer on the marathoners as they run through each one- Staten Island, Brooklyn, Queens, The Bronx and Manhattan. Many stand and watch the race until the last runner passes them. There were 45, 000 runners this year (27,000 men and 18,000 women) with a wide range of finishing times and that can add up to cheering for 6 hours or more. It is an incredible thing to be a part of. As I waited for the lead female runner to come into view my own adrenaline started pumping and the anticipation mounted. Helicopters circled overhead, music blared over the loud speakers, the pace car zoomed by and the lead motorcycles rounded the corner. The crowd around me started to roar and there she was-Edna Kiplagat (Kenya) the lead female runner. It really was beautiful to see. Legs pumping, muscles straining, eyes focused she seemed to glide effortlessly towards the finish line, her pace incredibly fast. She placed first with a time of 2 hrs 28 mins 14 sec. Unbelievable. As the rest of the elite female runners continued toward the finish line the elite male runners (who started a minimum of 1/2 hour later than the women) were hot on the women’s heels. It wasn’t long before another buzz of excitement rippled through the crowd as the announcers told us that the first male runner was heading towards the last mile. 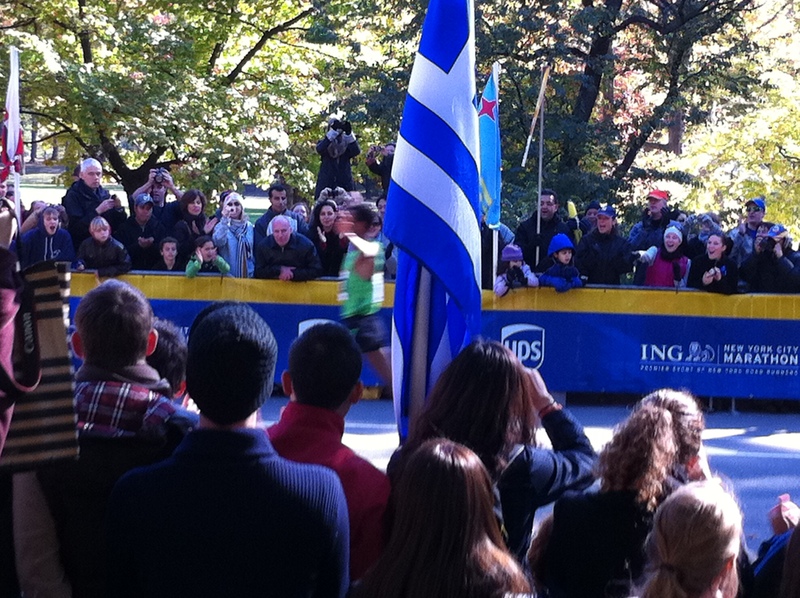 The male runner to win the 2010 NYC Marathon was a full minute ahead of his closest competitor by the time he hit mile 26. He seemed calm and relaxed and even raised his hands in sweet victory as he sailed through the last metres. Gebre Gebremariam (Ethiopia) finished the race with a time of 2 hrs 8 mins 14 secs. It was awe inspiring. I aspire to one day do a 1/2 marathon in that time frame!!!! While I was totally blown away witnessing these incredible elite athletes as they ran by me, I have to admit that the biggest thrill of the day for me was watching the amateurs run to the finish. The average joe that had spent the hours and hours that it takes to train for a marathon. The man or woman that is not sponsored by a major athletic brand and simply laces up their shoes and hits the pavement. As I watched these people run by me towards the finish line I felt truly inspired. Inspired to continue to lace up my own shoes and to make that effort to stay healthy and fit. The announcer kept pointing out all of the smiles at the finish line and I am sure there were smiles AT the finish. But from where I was standing at mile 26 with one final incline to go, there was also many a grimace, a few tears, looks of shock and genuine surprise that they were actually going to make it. All the while we cheered the runners on. 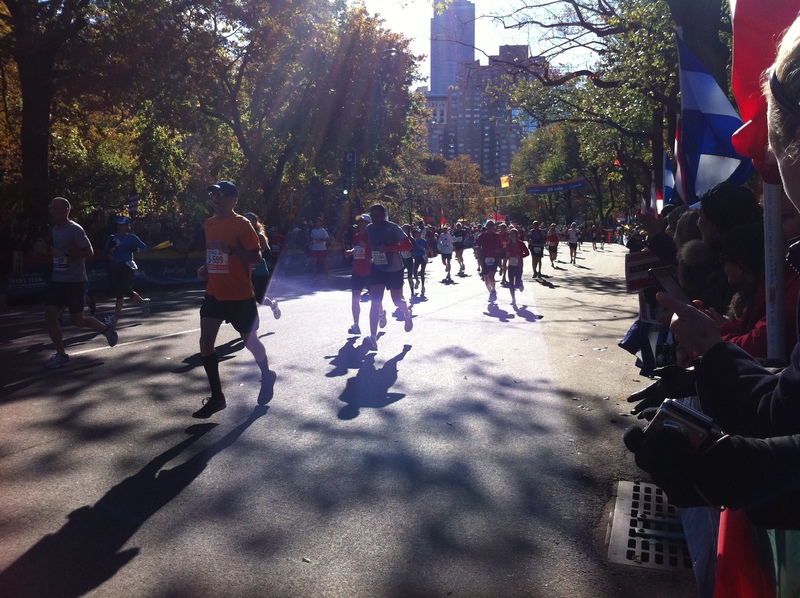 Now, being New York, there was also plenty of entertainment from the runners themselves. I saw runners dressed up as Ballerina’s, Spiderman, Cat Woman, Minnie Mouse, Gene Simmons and Sponge Bob. Apparently there were also celebrities running but really, I think sweating through a marathon is the one chance where you can truly blend in, if you want to. I didn’t stay until the final runner made it to the finish, although I would have liked to. But I left with a feeling of overwhelming pride. 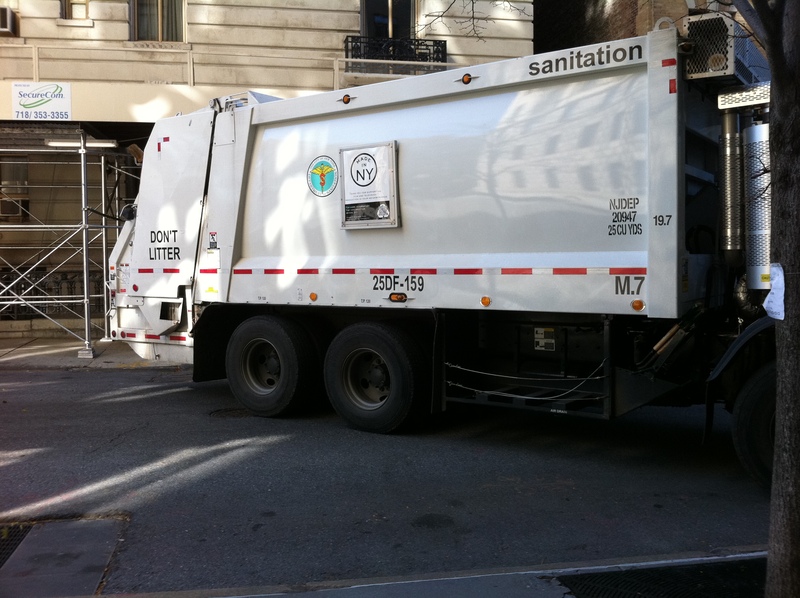 I was proud to be a newbie New Yorker today. The City came out and lined the streets and supported people from all over the world running through its ‘hoods. We sparkled and shined. I felt proud of this City, proud of every single runner. The next time I am a bit slow to go and lace up my own shoes I will remember today and the determination, courage and strength. I will be inspired. For full race results visit the 2010 ING NYC Marathon Website.